Mh, nice homepage but the same content as always. You kicked the last administrator for changes but you dont change anything. 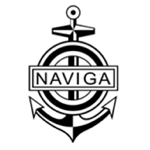 I am very intersting and tens how the naviga are implement the new GDPR. But no fields have an *, but name and Mail are an required field? Please fix.